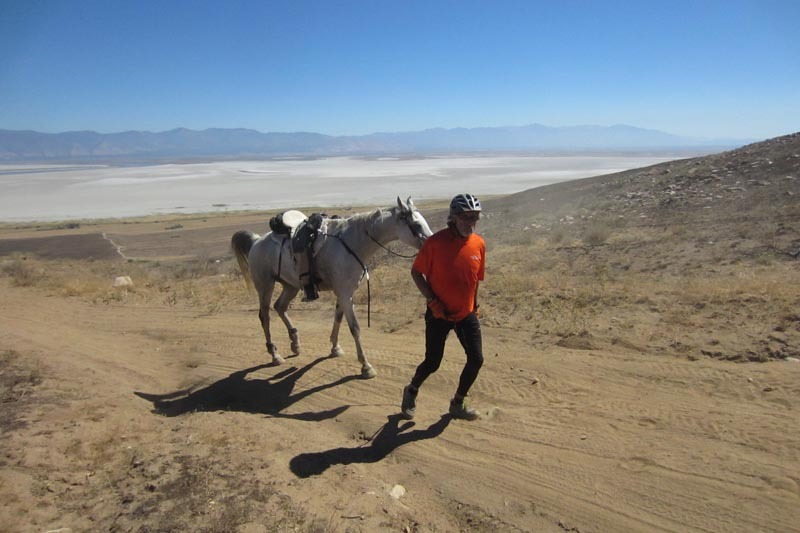 Most of our customers who use the Easyboot Glue-Ons and Glue-On Wides are either competing in endurance events or giving additional support to a horse dealing with chronic lower limb problems. The gluing protocol we recommend involves the use of two different types of adhesive: a fast-setting glue on the hoof wall and a slower-setting, softer glue under the sole to provide gentle support. So how do you make sure the harder glue does not go below the sole when applying the boot? Try Garrett’s Goober Glue Apron method. 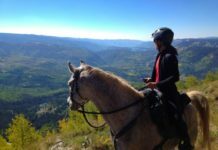 We tested this revised application protocol on four horses at the 2010 Bryce XP multi-day event, and we’re pleased to report that the new method was a resounding success. Applying the Goober Glue Apron. Apply a thin bead of Goober Glue around the inside edge of the boot shell where the shell wall meets the base of the boot (see above). 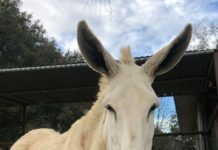 Apply the Goober Glue as usual – either into the sole of the boot in the shape of a triangle (my preferred method); or directly into the concave area of the sole of the horse’s foot. 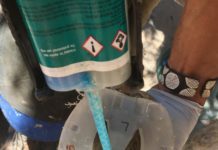 Generously apply Vettec Adhere in the standard way around the inside of the boot shell. 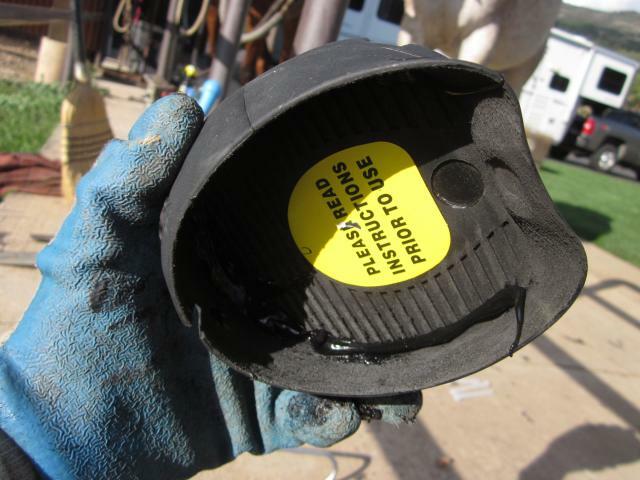 Apply the boot to the hoof and seal the top of the boot with a bead of Vettec Adhere. Three of the four horses went on to receive first place finishes during the five-day event, and three of the horses also received the coveted Best Condition award. A close-up vew of the Goober Glue Apron. Leave the tip on the Goober Glue cannister a long as possible for an easier application of the glue into the corners of the boot. I knew the Goober Glue Apron was a winning protocol when I removed the hoof boots following the race. The beat of Goober Glue had filled the small void between the hoof wall and the inside of the boot shell, yet the Adhere had not gone below the top of the bead of Adhere. And the most interesting part of this test was that the integration between the Goober Glue and the Adhere was completely seamless. Pushing into the inside of the toe area with my fingers, I could easily feel the softness of the Goober Glue at the toe and the bottom of the hoof wall, and the firmer properties of the Adhere as I moved my fingers up the inside of the shell wall. So if you’re concerned about undue pressure created by Adhere penetrating under the sole, try the Goober Glue Apron next time you glue on boots. And let us know how it works for you. 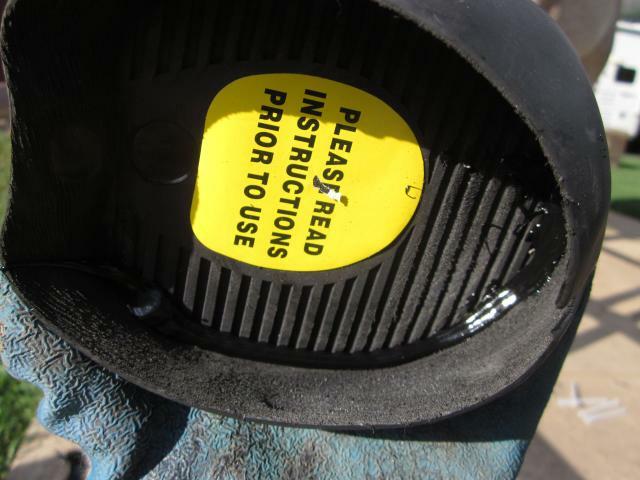 For a reminder on our current recommended gluing instructions, view the Easyboot Glue-On Application Video. Note: the Goober Glue Apron is not included in this video.